Celebrating 25 groundbreaking years, FISHBONE has been trailblazing their way through the history of American Ska, Rock Fusion and (so-called) Black Rock since starting their professional career in Los Angeles burgeoning, Alternative Rock music scene of the mid- 1980s. Their sound has often been imitated, but never duplicated. They have toured worldwide with such bands as the Beastie Boys, Red Hot Chili Peppers, The Roots, Les Claypool/Primus, Fela Kuti, The Dead Kennedys and many more. Angelo Moore’s ability to combine thought-provoking, humorous social commentary with FISHBONE’s brethren’s frenzied, up-tempo music and frantic, euphorically entertaining stage show has cultivated their undisputed reputation as one of the best live acts in music history. Now in their 25th year of composing, creating, recording, releasing and performing original music together, mass critical appeal appears to be returning to the band, fueled by their critically acclaimed full-length feature documentary; Everyday Sunshine: The Story of Fishbone. Narrated by Laurence Fishburne, the film earned LA Weekly’s Critic’s Choice Award at the Los Angeles Film Fest in 2010, has been called “effortlessly Entertaining” (Variety), “Brilliant and Groundbreaking” (Pop Matters), and hailed as “more than a documentary about rock ‘n’ roll. It’s a documentary about the American spirit and one that shows the life of one of its most influential creative forces.” (Encore Magazine). The documentary features celebrity testimonials from an A-list cast of rock icons such as Flea (Red Hot Chili Peppers), who calls the band “an important musical institution” and “the band that gave us the inspiration to be a band” by Gwen Stefani (No Doubt). The film also includes similar admiration from the likes of Perry Farrell (Jane’s Addition), Jerry Cantrell (Alice In Chains) Rob Trujillo (Metallica), Questlove (The Roots), Chuck D (Public Enemy), Tim Robbins (Grammy Winning Actor) and many more. The film not only highlights the bands substantial legacy in contemporary music of all forms, but also the struggles, adversity, and inner turmoil that has surrounded the bands career. In late 2011, Everyday Sunshine will premiere its theatrical and DVD releases, and also has broadcast release interest from VH1, Showtime, and PBS to name a few. It has also opened up the possibility of, and widely rumored and sought after reunion performance with all original members of this legendary band. 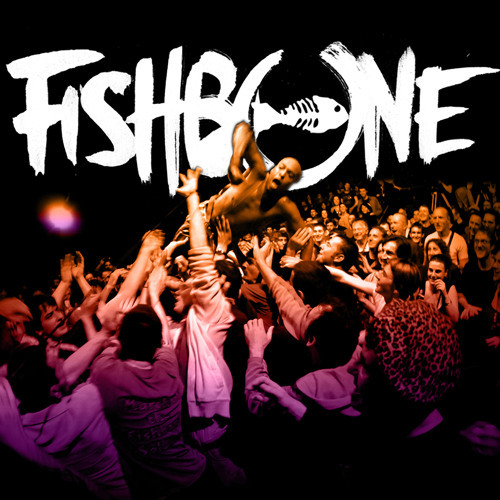 To date, FISHBONE still continues to tour all over the world, still turning heads at some of the world’s most noteworthy festivals such as Fuji Rock Festival in Tokyo, Japan (2010), Wakarusa in Ozark, AK (2010) and Sunset Junction in Los Angeles, CA (2010). This year, the band recently completed a national U.S. tour with Slightly Stoopid and Dumpstaphunk; and a sold-out SXSW showcase with Wu-Tang Clan and Mobb Deep. In addition, the band just completed an Australian tour featuring performances with Trombone Shorty and George Clinton, highlighted by a performance at Byron Bay Blues Festival. This summer the band will return to Europe and Japan; and is slated to release a brand new EP end of the year. For more information, visit www.fishbone.net or www.facebook.com/fishbonemusic.